The US Open commences on Monday with the top half of both the men’s and women’s draws in action, which means defending champions Rafael Nadal and Sloane Stephens will take to the court on opening day. 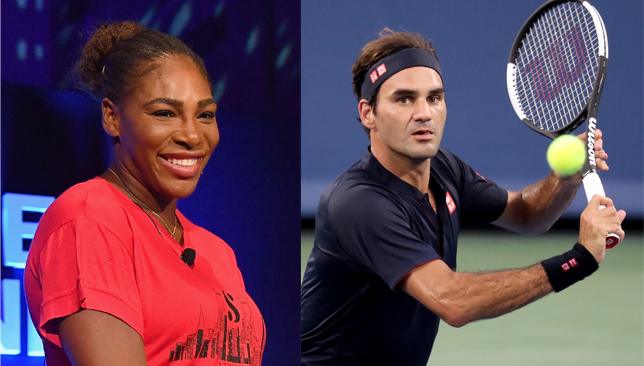 Former winners Serena Williams, Stan Wawrinka, and Andy Murray will also play their opening rounds on Monday, while Roger Federer and Novak Djokovic kick off his campaigns on Tuesday. Known before 1968 as the US National Championships, the US Open is the second-oldest of the four Grand Slams after Wimbledon, and the only one to have been played each year since its inception in 1881. First held in 1887, the US Open women’s singles championship is being staged for the 132nd time. Here’s a look at some of the standout stats and figures ahead of the 2018 US Open. US Open first Grand Slam to introduce shot clock to main draw – How do the players feel about it? 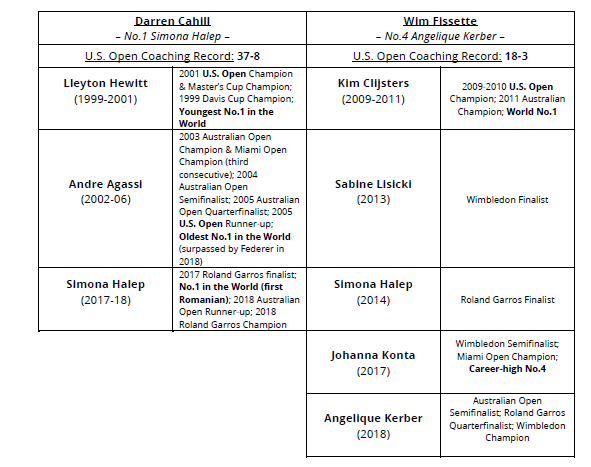 0 – players in the Open Era have managed to win the US Open without dropping a set. 3 – matches lost by top-seeded Rafael Nadal in 2018 — the same number he lost in 2013 entering the US Open. Nadal is 40-3 this season and was 53-3 at the start of the 2013 US Open, where he won his 13th Grand Slam title. 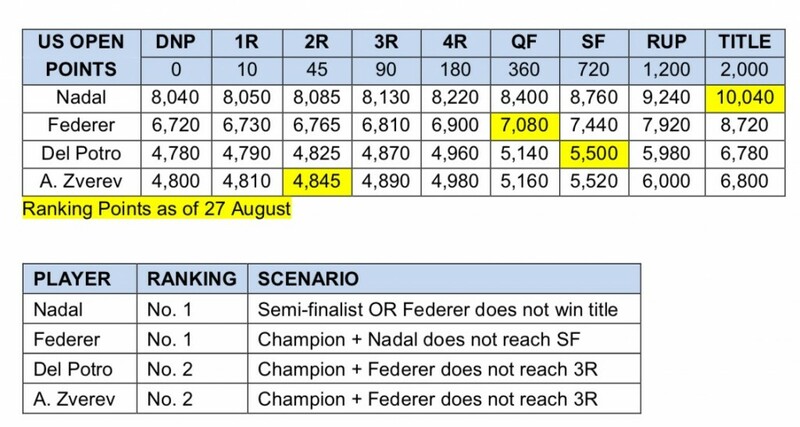 6 – Roger Federer is targeting a sixth US Open title which would give him sole ownership of the top spot on the leaderboard of most trophies won here in the Open Era. He is currently in a three-way tie with Jimmy Connors and Pete Sampras with five. 7 – former US Open champions present in the 2018 draw: Nadal (2010, 2013, 2017), Stan Wawrinka (2016), Novak Djokovic (2011, 2015), Marin Cilic (2014), Andy Murray (2012), Juan Martin del Potro (2009), Roger Federer (2004-08). 9 – Former US Open junior champions in the draw: Felix Auger-Aliassime (2016), Taylor Fritz (2015), Borna Coric (2013), Jack Sock (2010), Grigor Dimitrov (2008), Ricardas Berankis (2007), Andy Murray (2004), Richard Gasquet (2002), Gilles Muller (2001). 10 – years since Federer last won the US Open. 13 – The ‘Big Four’ have dominated the top two spots in the world rankings for the past 13 years. That could change after the US Open with Juan Martin Del Potro and Alexander Zverev both having a chance to surpass Federer and become the new world No. 2. 13 – months since the ‘Big Four’ all competed at the same tournament. Their last reunion was at Wimbledon 2017. 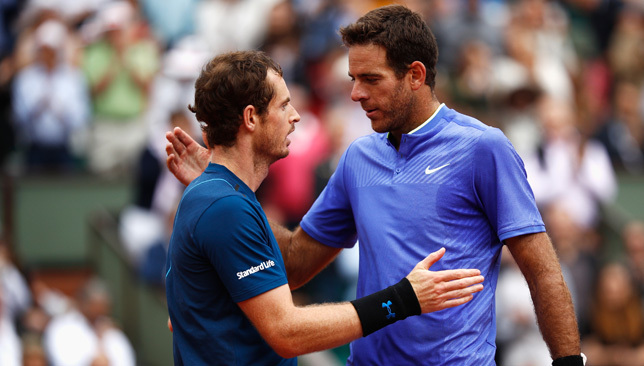 They finally reunite again at this US Open. 16 – NextGen (21-and-under) players in the draw: Hubert Hurkacz (21), Lloyd Harris (21), Alexander Zverev (21), Jaume Munar (21), Andrey Rublev (20), Taylor Fritz (20), Michael Mmoh (20), Frances Tiafoe (20), Ugo Humbert (20), Stefanos Tsitsipas (20), Casper Ruud (19), Alex de Minaur (19), Denis Shapovalov (19), Corentin Moutet (19), Felix Auger-Aliassime (18), Jenson Brooksby (17). 37 – At 37 years of age, Federer is bidding to become the oldest US Open champion in the Open Era, and oldest US Open finalist since 1974. 42 – 30-and-over players in the draw. 2 – players are seeded for the first time at a Grand Slam: Aryna Sabalenka (No. 26) and Maria Sakkari (No. 32). 6 – players in the draw are undefeated in US Open first round matches: Venus Williams (19-0), Serena Williams (17-0), Patty Schnyder (14-0), Agnieszka Radwanska (12-0), Maria Sharapova (11-0) and Victoria Azarenka (10-0). 7 – former US Open champions in the draw: Sloane Stephens (2017), Angelique Kerber (2016), Svetlana Kuznetsova (2004), Maria Sharapova (2006), Samantha Stosur (2011), Serena Williams (1999, 2002, 2008, 2012-14) and Venus Williams (2000, 2001). 17 – In the Open Era, the reigning Wimbledon champion has gone on to win the US Open 17 times. Kerber would be the first player since Serena in 2012 to pull off that feat. 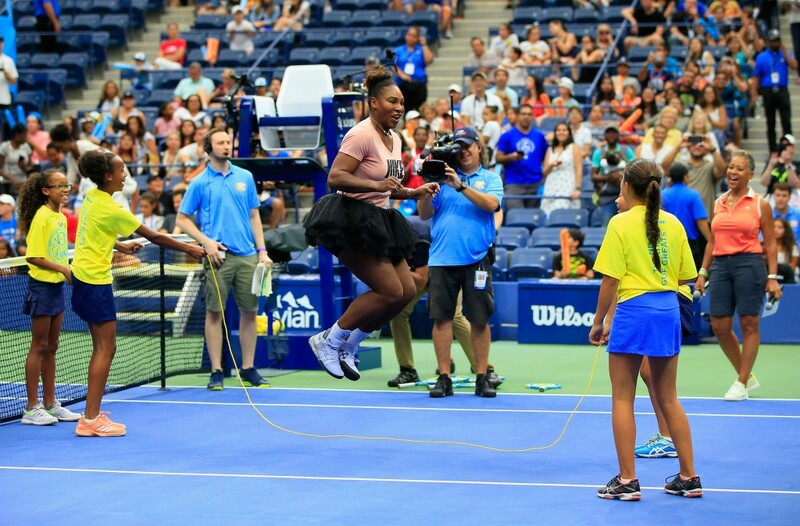 22 – There have been 22 successful women’s singles title defences at the US Open. Sloane Stephens will try to make that figure 23. 24 – Serena Williams is chasing an all-time record 24th Grand Slam title which would equal Margaret Court’s tally. 44 – Simona Halep will maintain her position as world No. 1 irrespective of her US Open result. It will take her total tally to 44 weeks at the summit, including this next fortnight. 80 – Venus Williams is appearing in her Open Era record 80th Grand Slam main draw. US Open first Grand Slam to introduce shot clock to main draw - How do the players feel about it? The on-court shot clock has made several appearances over the past 12 months, starting with the qualifying tournament at the US Open last year, the Next Gen ATP Finals in Milan and more recently during the US Open Series events. Next week, it will make its Grand Slam main draw debut at the US Open in efforts to limit time taken between points and ensure players adhere to warm-up and changeover times. The shot clock, which counts down from 25 seconds between points and is started manually by the chair umpire when he/she calls out the score, has been met with mixed reviews from the players who have experienced it in the past few weeks in Canada, Cincinnati or other events. Some find it useful, others find it stressful, and some imply it actually helps them slow down before serving, which perhaps means the shot clock might end up adding time to an overall match rather than the other way around. Here’s what some of the top players had to say about it. “I think it’s really important to keep the game authentic. I think that sometimes we try to get a little bit too creative. I think that the shot clock is another human, like, to start it, to stop it, whatever. It’s all human, whatever. “I think at a point in the match where it’s really close and all of a sudden you get a shot clock violation but two points before that it wasn’t even started on time, like, I think those types of things are just kind of up in the air. “Actually I’m fine with that. I got a time violation already, but I don’t think it was my fault, but okay. Overall it’s fine. “It’s actually quite cool because I’m always so quick so now I can take my time more. It does help definitely because I think I’m really, really quick. Sometimes I don’t even make a decision where I’m going to serve next so now I can see that I still have 15 seconds and I can take my time to think about what I’m going to do. “I think it’s alright. I thought it was going to be faster. But actually it starts when the umpire says the score so sometimes there’s a bit of a delay between the end of the point and the time he’s saying the score so most of the time I still have 15 or 10 seconds and I’m alright. I think it’s good because it’s fair for everyone and you can see it, you don’t have to ask the umpire. It makes it more clear for everyone.